The advantage—the competitive edge—leading companies today require is process. Not overwhelming process for process’s sake but well thought out strategic process in the right amount, based on the organization’s context. Why is process important to a company and to program management? Just look at the nightly news. A month or a quarter doesn’t go by without some widely recognized organization or company publicly acknowledging a major project disappointment. Additionally, the late delivery and cost overruns of projects often cause turmoil and upheaval within organizations. That’s why the companies that survive and thrive today and that will survive in the future will be those which have processes in place and can repeatedly integrate new people and new technology into their existing processes, thus producing superior products and services. Although technology and people are definitely important, they are just inputs that support the process. Process allows an organization to exist years from now when most of the technology is different from today’s and a good portion of the workforce has changed. Consider the products or services any technology company made and sold 5 to 10 years ago compared with what it makes and sells today. Perennially successful companies have a process that allows them to take new technology and people and use both to produce a quality product. What those products will be a few years from now is anyone’s guess, but a process must be in place that will facilitate their development. Yes, innovation can still be a driving force for a company, but innovation without process is short-lived. In fact, companies with a pure innovation strategy usually have a process for that but not too much process. Process without leadership is sterile, and leaders must drive process so that it facilitates success instead of obstructing it. This leads us to the role of the program manager, the individual leader who is responsible for delivering a major product or service while improving that product or service and enabling the organization to continually outperform the competition. The goal of any successful program manager should be incorporating new technology and new people while delivering improved products and services that outpace those of the competition. He or she must maintain a culture of repeatable success. The operations environment without change is very stable. However, we all know that change in any business is inevitable. Change makes its way into the operations environment through the implementation of projects. The establishment of a project management culture that allows for successful completion of projects in the real-world dynamic program environment. Successful program management is not magical, complicated, or difficult. However, it requires leadership and integrity to repeatedly execute successfully. You can accomplish this with sophisticated software packages and cadres of consultants, or you can accomplish it with a calendar and a notebook. Numerous organizations have attempted to buy their way to a successful project management culture by purchasing tools or hiring consultants only to fail because a lack of leadership and integrity prevented them from following structured, organized common sense. Tools and consultants in the absence of structured, organized common sense usually result in program and project failures that have pretty charts and diagrams to communicate why they are over budget and behind schedule. Strong leadership at the business and program level results in repeatable success. Exceptional project managers may be able to deliver success in isolation or sporadically in the absence of leadership, but even the best project managers fail on occasion when they work in environments that lack leadership. More often than not, project failure is not the project manager’s fault, although he or she is frequently blamed. The real cause for the failure is faulty program management. If you believe that project management is not complicated and that the majority of professionals today can be effective project managers in an environment that facilitates their development and success, you are correct. Complex methodologies or whiz-bang quick fixes rarely do the trick. Instead, program managers need to implement a successful project management culture in which the program is characterized by integrity and supporting personnel and stakeholders are not apathetic but fully engaged and supportive. 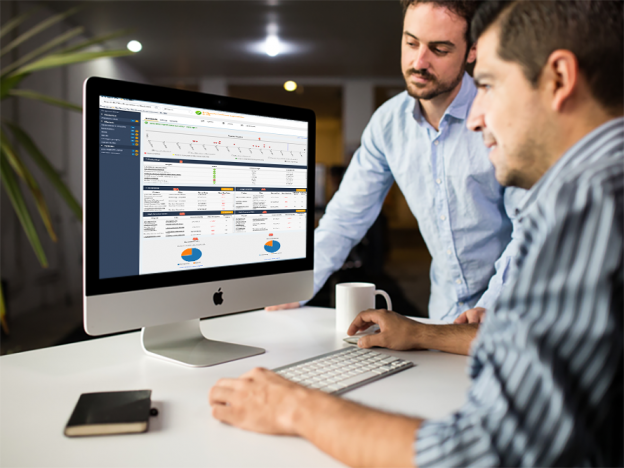 See how WorkOtter can help you leverage your organization’s existing program management processes and outpace the competition. Take a product tour and get a free demo today. This entry was posted in Finish What You Start on April 13, 2019 by Ross Lawrence.